Affordable Crossover Attitude Available at Haval West Rand HAVAL’s H1 compact crossover is a smash-hit sales success in global markets, and is also loved by South Africa’s trendy urbanites. Sporting fresh looks and lots of features as standard. 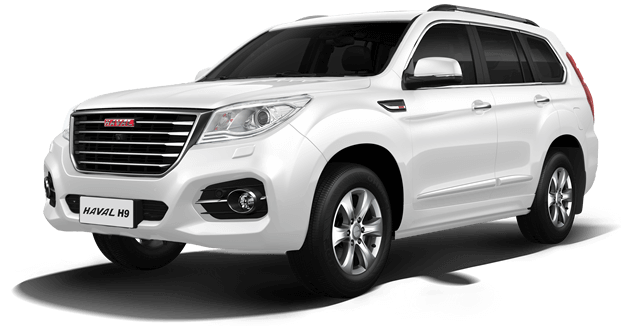 Available at Haval West RandHAVAL’s H6 is the recipient of a number of awards in its domestic market, including the annual CCTV SUV of the Year trophy and has been a phenomenal sales success for the brand in China, selling around 20 000 units per month regularly. Available at Haval West Rand The HAVAL H6 C is a sporty mid sized SUV that combines a strong, rigid bodyshell with sleek curves that turns heads from all angles. The bold grille instantly identifies the H6 C with HAVAL’s strong design DNA. Copyright © 2018 - Haval Motors SA Pty Ltd All rights reserved.